The Alvius King Size Sleigh bed is a tremendous design that is best-suited for open spaces such as studio apartments, lofts, or high-ceiling bedrooms. 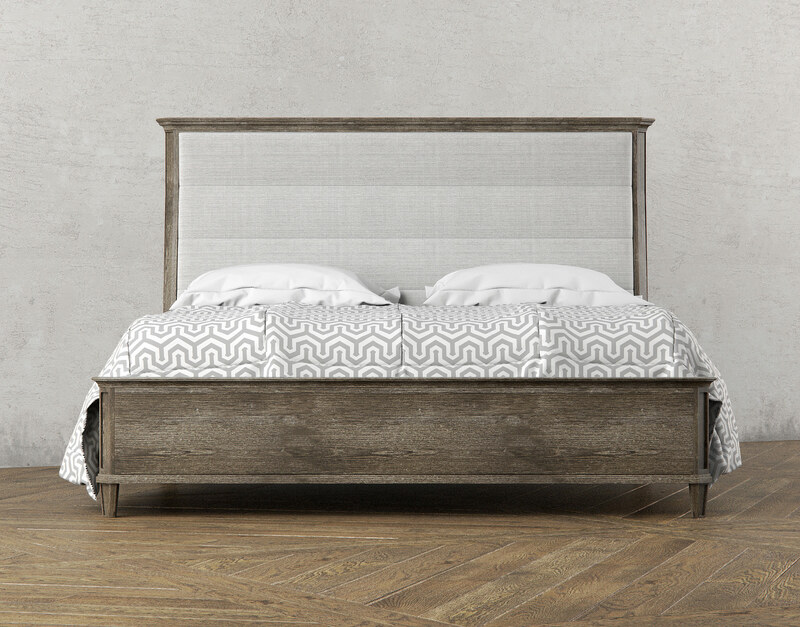 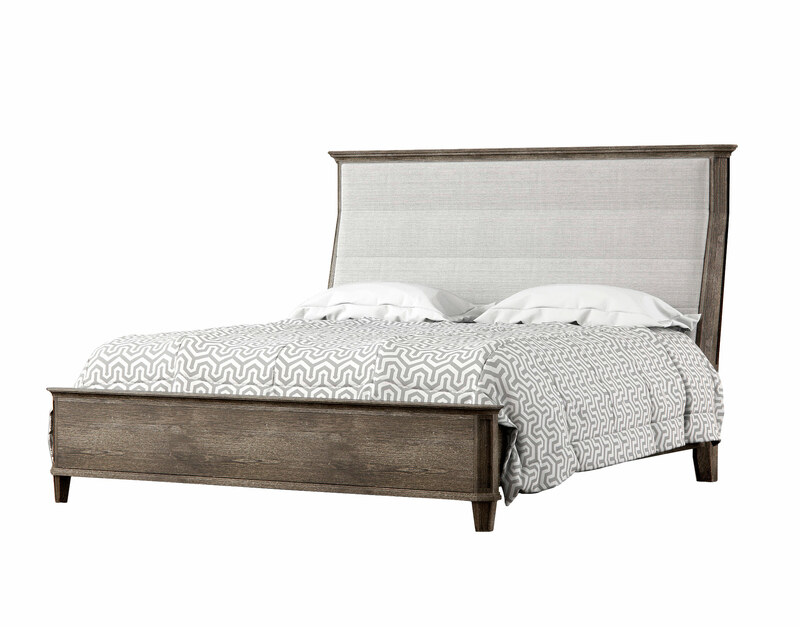 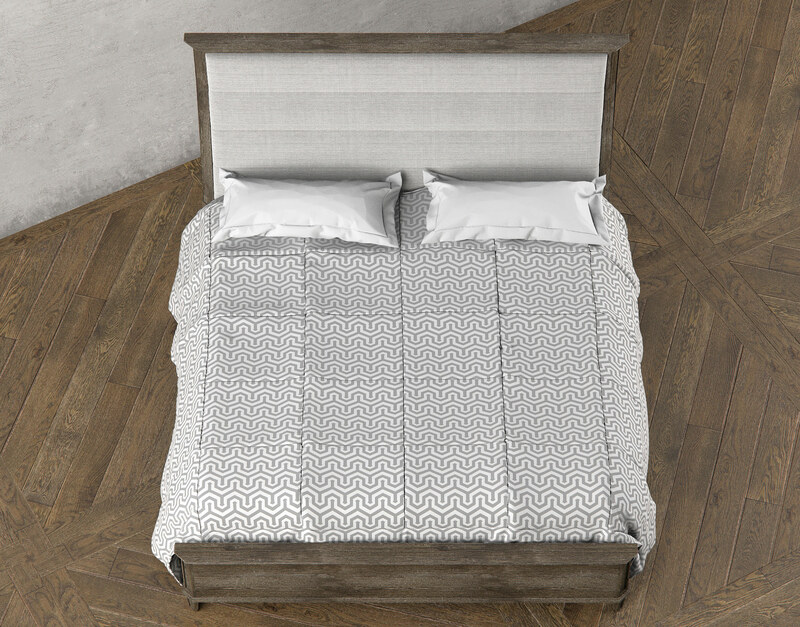 This design features a rustic bleached-oak finish accented by a roughly-textured upholstered headboard. 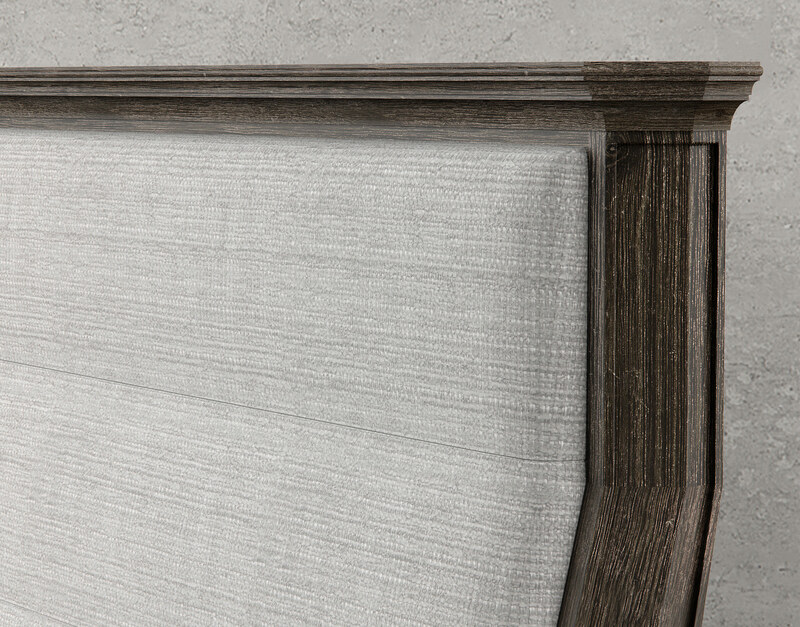 Use alone or alongside other pieces from the Alvius collection to create an unforgettable sense of style and practical realism. 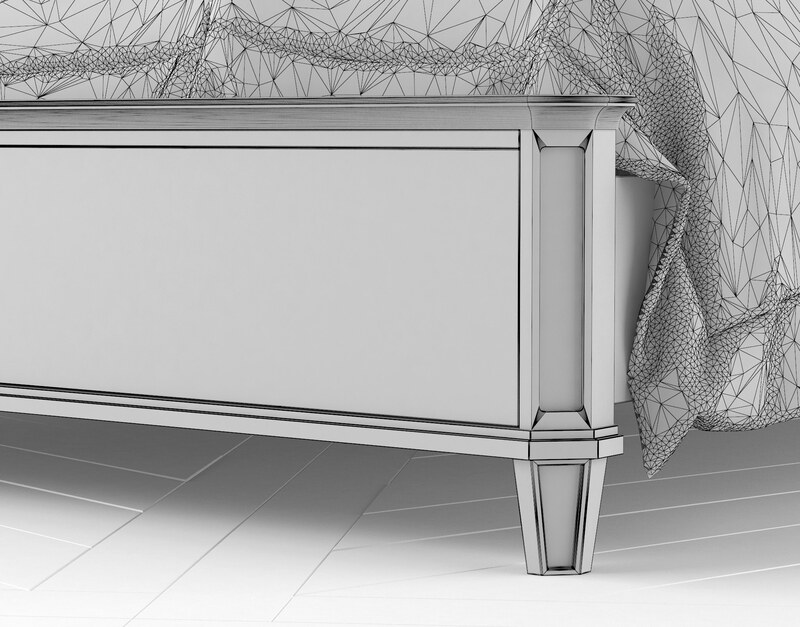 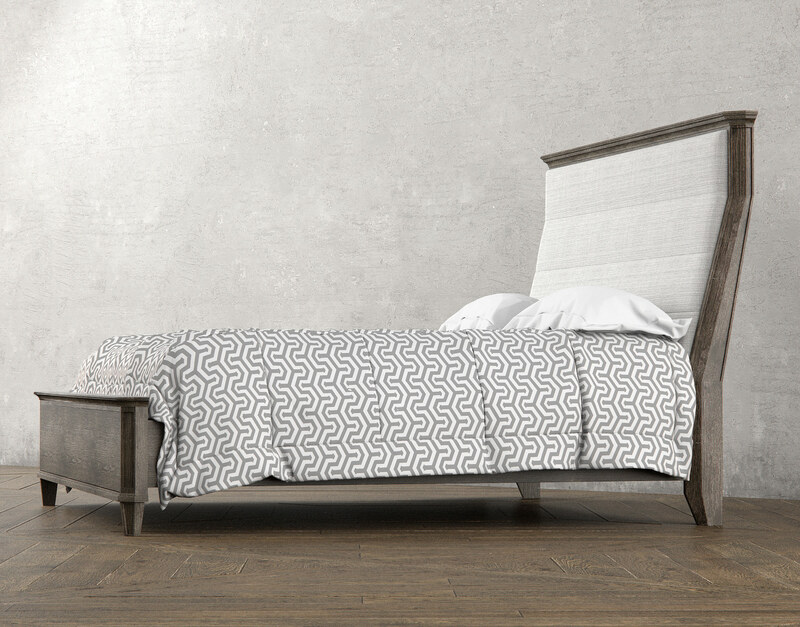 The Alvius King Size Sleigh Bed 3D Model is a marvel of presence in any interior but particularly delightful when posed within open-air spaces such as studio apartments. 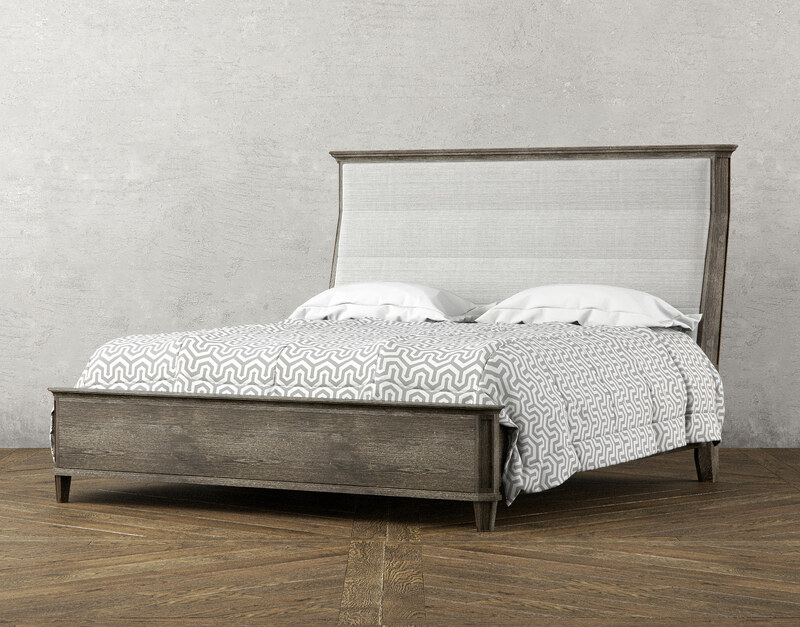 The angled-foot headboard design of this piece creates a larger-than-life sense of space for this piece and can stand alone or as a focal point surrounded by accent tables or other pieces from the Alvius collection. 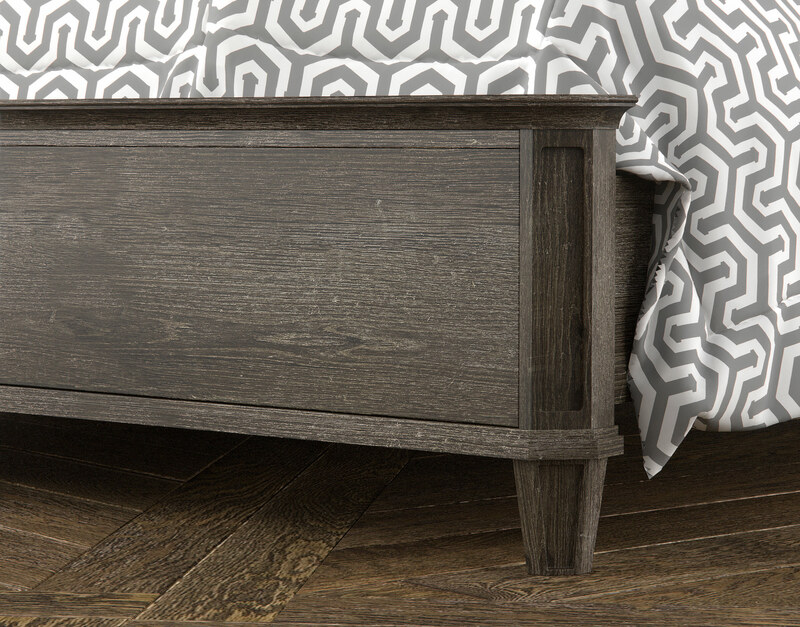 This 3D Model features a rustic bleached reclaimed oak finish with subtly recessed carvings on the feet and legs. 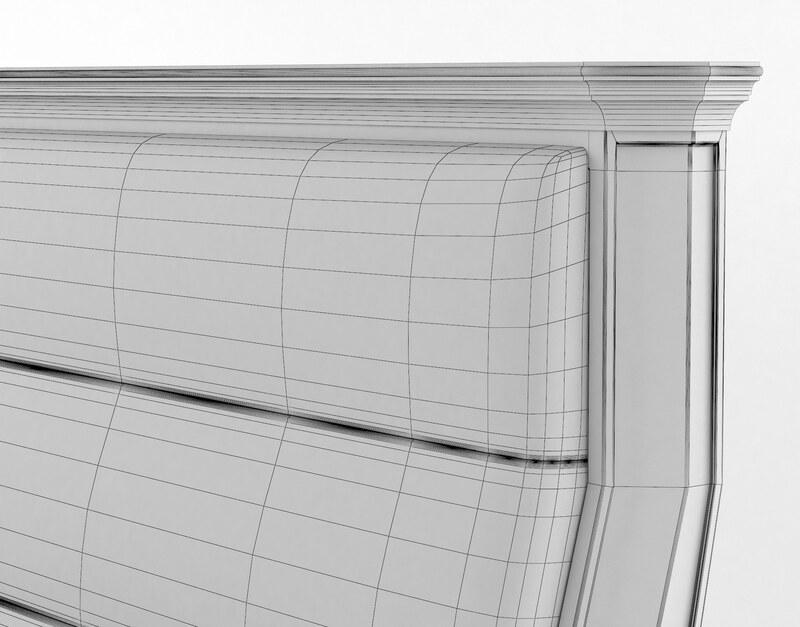 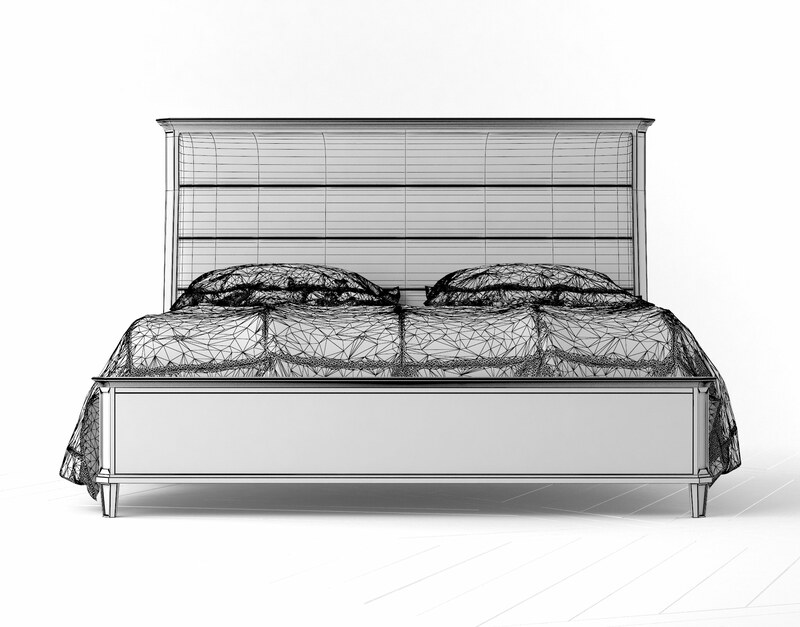 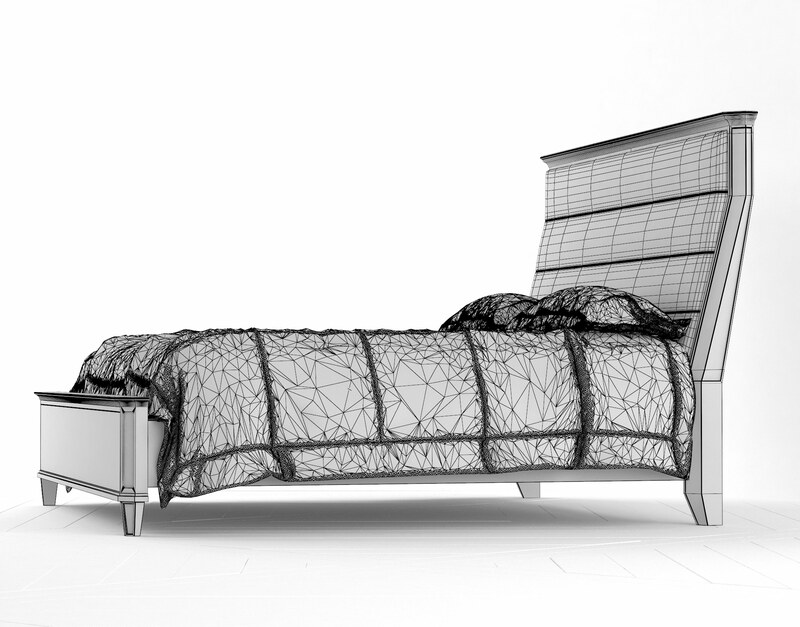 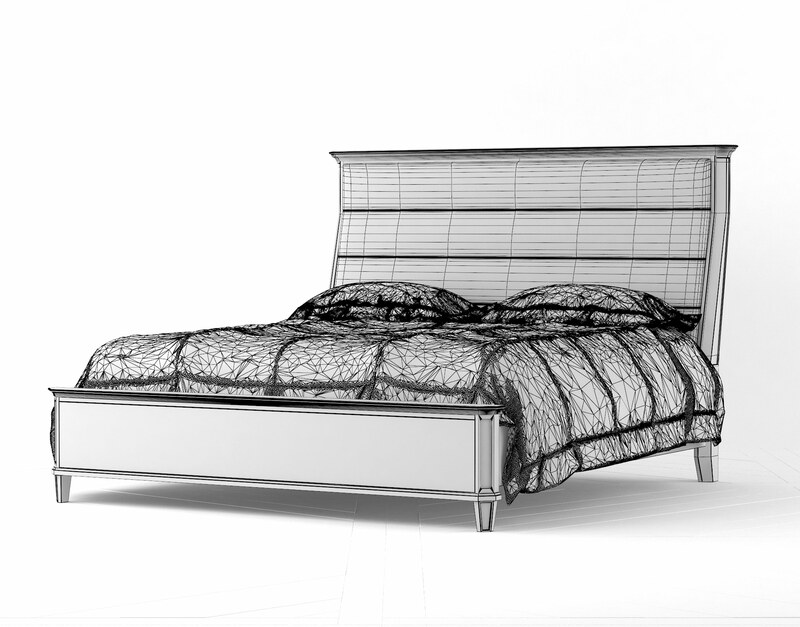 The Alvius king size sleigh bed features a hyperrealistic 3D comforter and pillow set that has been modeled using the Marvelous Designer cloth simulation software. 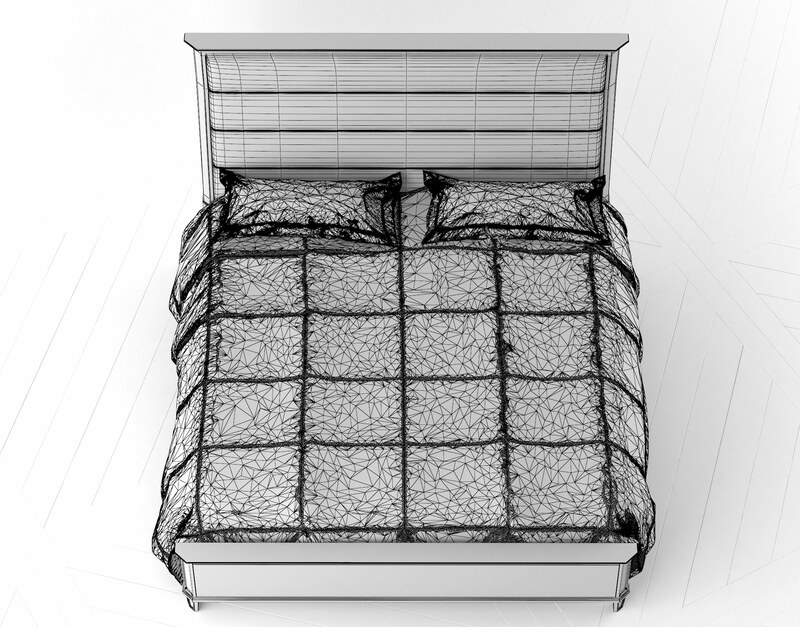 Materials and textures have been optimized for high resolution rendering with 3DS Max and VRay and come in a wide range of formats for seamless import into a wide range of architectural visualization scenes.